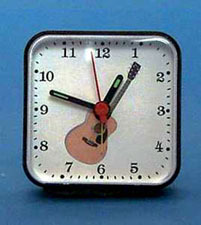 New Mini Travel Alarm Clocks in 24 designs make getting up a pleasure, traveling a breeze. Available in the same designs as the Personalized Watches. Requires 1 AA battery, not included. 2.5" x 2.5" x 1.25". Allow 2 weeks for delivery. If personalization is desired add $6.00 per clock.